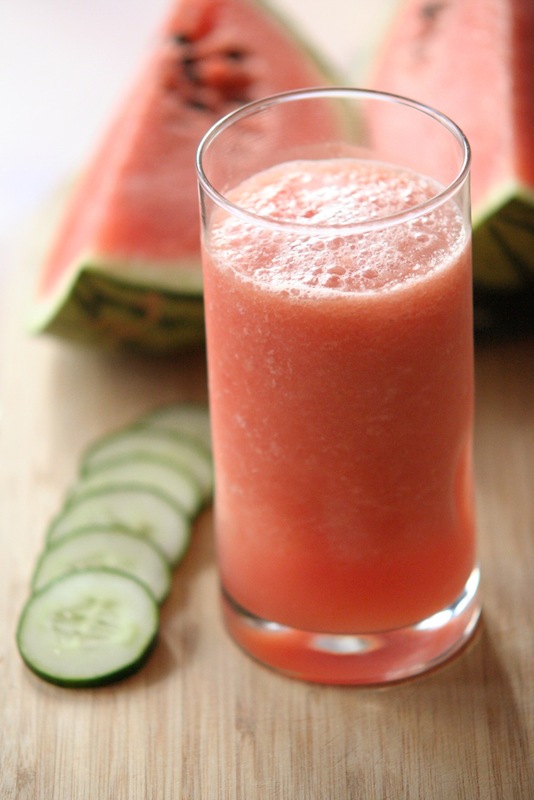 This refreshing smoothie is loaded with vitamin C, thanks to its watermelon. Keep chunks of watermelon in your freezer all summer long so you can blend this up anytime. Put the cucumber, buttermilk, honey if using and lime juice into a blender. Blend on high until smooth. 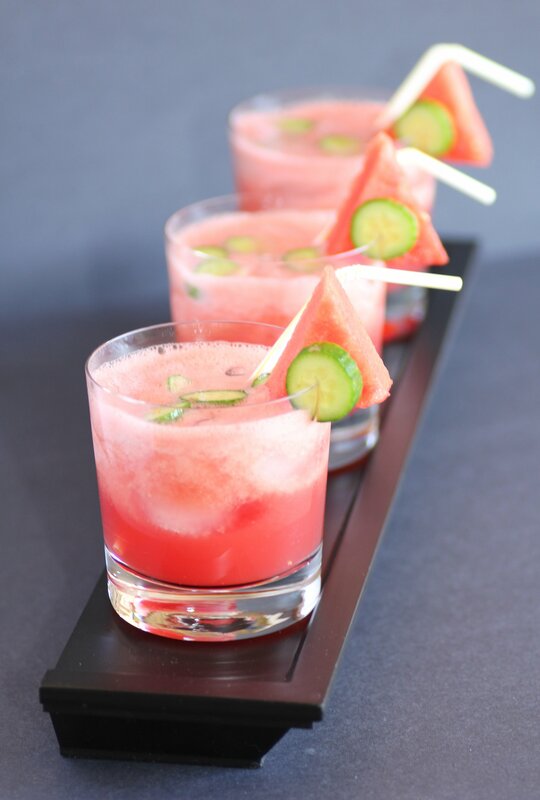 Add half of the frozen watermelon and blend until almost completely smooth, turning off the blender and pushing down on the ingredients with a spatula or wooden spoon as needed to help the blending process. 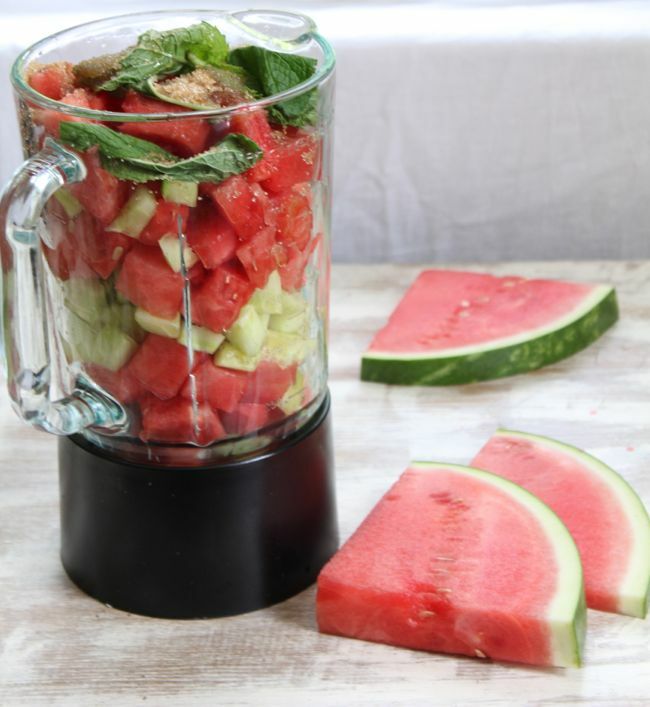 Add the remaining frozen watermelon and continue to blend until smooth. Add 1 to 2 tablespoons of water if needed to adjust consistency. Pour into a glass and garnish with a cucumber slice. Posted in Health and tagged Food, Health. Bookmark the permalink.